The Government’s launch in June of an urgent review of the crisis facing bees and other pollinators in the UK was heartening news. But in its pledge to introduce a national pollinator strategy, it will be vital that the Government thinks creatively and deploys every weapon in its arsenal to protect pollinators and the essential work they do. Living walls, green screens and other forms of vertical planting can dramatically boost biodiversity levels in restricted spaces and urban areas because they take up just a fraction of the space required by traditional green areas. With the right selection of plant species, living walls can offer a vital source of nectar for pollinating insects, and provide a network of green corridors that better link built-up areas to the surrounding countryside. 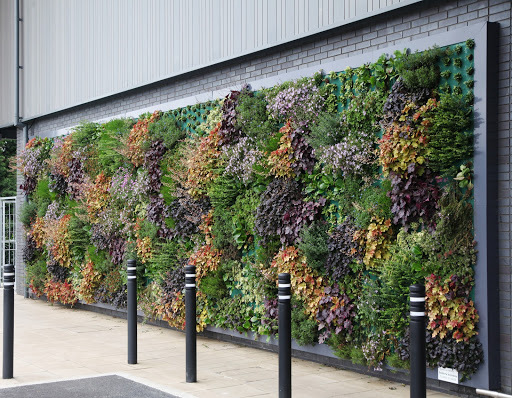 Mobilane’s LivingWall for Waitrose in Bracknell, Berkshire (pictured below) is just one example of a vertical planting scheme created with the specific aim of attracting bees and other wildlife into an urban site. The results have been spectacular – an attractive wall with year-round interest that also supports local biodiversity. Of course, the Government is right to review the use of pesticides and consider how to properly protect pollinators’ usual habitats like wildflower meadows. Existing government initiatives include 12 new Nature Improvement Areas and the promotion and funding of the sowing of nectar flower mixes on farmland. More drastically, in April the European Union suspended the use of three neonicotinoid pesticides linked to serious harm in bees – despite the opposition of the UK ministers. But the scale of the problem is epic. In the UK, wild honey bees are nearly extinct, solitary bees are declining in more than half the areas studied and some species of bumblebee have been lost altogether. This trend is repeating worldwide, yet bees and other pollinators fertilise three-quarters of global food crops – their monetary value to world agriculture runs into billion of pounds. Experts are calling on the Government to enhance the food and nesting sites available to pollinators including flies, butterflies, moths, wasps and beetles, as well as bees. Put simply, we need to plant more flowering plants; the UK alone lost a whopping 97% of our flower-rich meadows between 1930 and 1984. The challenge is huge but wherever there is bare wall surface, we have an opportunity to help create a habitat and food for pollinators. 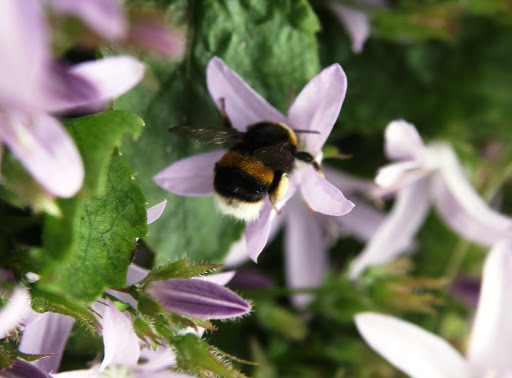 Each and every additional square meter of flowering vertical planting helps to restore the odds in bees’ favour and this benefits us all.